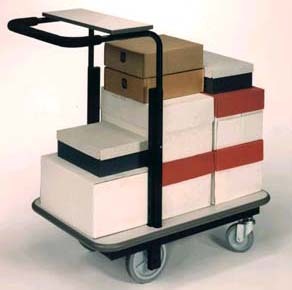 Mail carts are designed to facilitate the collection and distribution of mail and packages throughout a corporate facility. 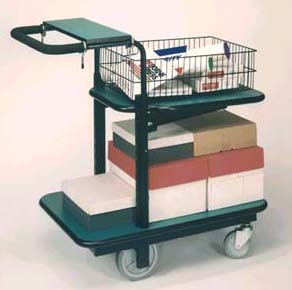 Hamilton Sorter's mail carts feature ergonomic foam grips on height adjustable handles. Oversize rear wheels provide effortless navigation around obstacles or over barriers such as elevator floor rails. Standard bumper molding protects from dings and dents and mail baskets support flats, packages and penda-flex file folders.